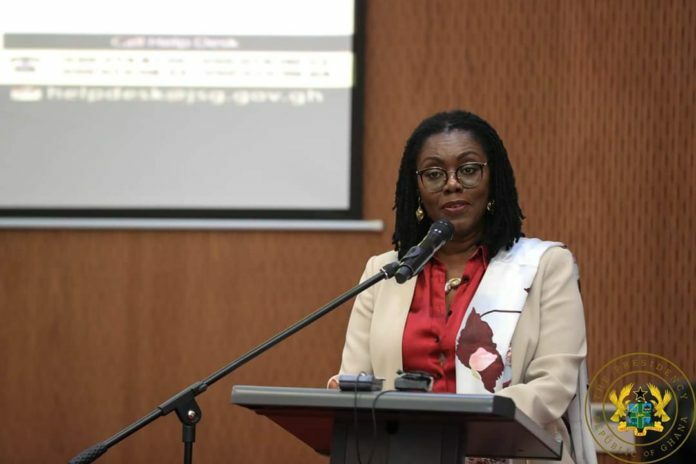 The government of Ghana has commenced processes aimed at pushing the cost of the internet down, Communications Minister Mrs Ursula Owusu-Ekuful has said. There will be an industry forum early next month, Mrs Owusu-Ekuful said to force a consensus on the way forward. Mrs Owusu-Ekuful made this known during a recent courtesy call paid to her by the World Bank Africa Vice President Hafez Ghanem. Ghanem arrived in Ghana on Sunday, March 24 as part of a three-day mission to the country. The 2018 Affordability Report warned that the high cost to connect is keeping billions offline and pushing the global goal of universal internet access further out of reach. The report which assessed the policy frameworks designed to advance affordable internet access across 61 low- and middle-income countries found over 60% of countries have unaffordable internet. Of the 61 countries studied, just 24 had affordable internet, where 1GB of mobile data costs less than 2% of the average income. The report also found growth in people using the internet has slowed. The UN originally estimated that 50% global internet penetration would be achieved by the end of 2017; a downturn in the growth of internet access and use means that we now don’t expect to reach that milestone until mid-2019. Again, according to the report, policies have barely changed. The pace of policy change to drive internet prices down marked its slowest improvement to date. Measures of the policy frameworks in place to enable greater affordability increased by just 1% in 2017, despite growing recognition of the critical relationship between online access and economic growth. Responding to a question on what the government of Ghana is doing to drive prices of the internet down from the World Bank Africa Vice President, Mrs Owusu-Ekuful enumerated plans being pursued to ensure internet prices are affordable to every Ghanaian. She said a high-level engagement with the regulator and the industry operators had been ongoing for some time now to promote greater infrastructure sharing and competition with the aim of forcing the internet cost to fall. “There’s a huge appetite for data in this country which we are not being able to meet and so we see that there’s an opportunity, there’s a commercial opportunity for the private sector to also take advantage of,” she said. “So we have begun having meetings around several issues including; sim registration, equipment identity registration among others to clean up that space and make it more secured and less easy for people to use their devices for formulating criminal activities. We are going to have an industry forum early next month to put all these conversations forward and force a consensus on the way to go,” she added.